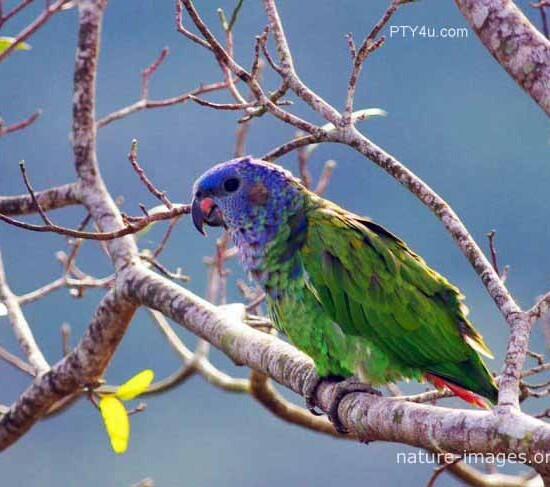 The blue-headed parrot, also known as the blue-headed pionus (Pionus menstruus) is a medium large parrot. 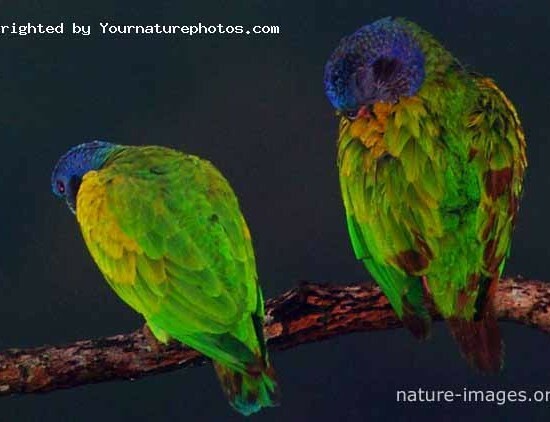 It is about 27 cm long and they are mainly green with a blue head and neck, and red under tail feathers. 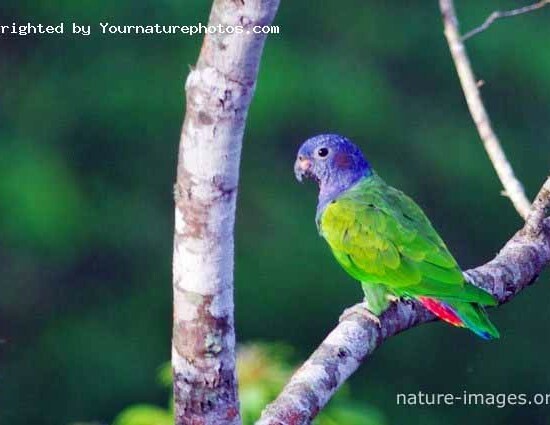 It is a resident bird in tropical and subtropical South America and southern Central America, from Costa Rica, Venezuela and Trinidad south to Bolivia and Brazil. 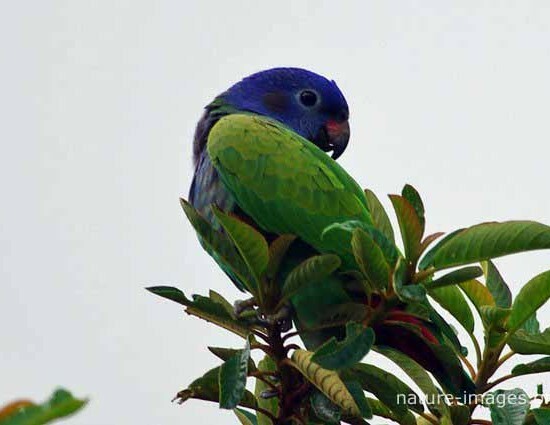 It is named for its medium-blue head and neck. Thr attached imags have been taken in Altos del Maria, Panama.